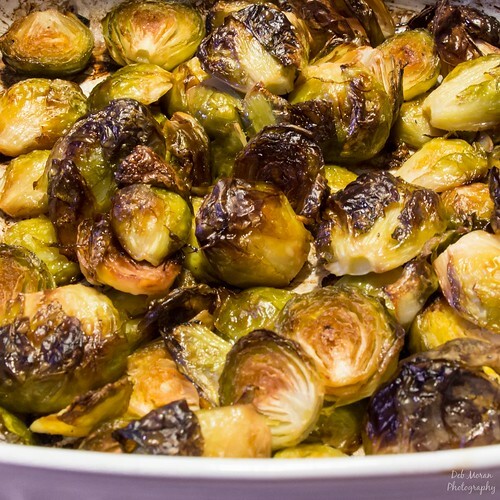 I have always loved Brussels sprouts, even if cooking them makes the house smell like a giant fart. Yes, I said fart. Anyway, I’d always had them steamed from frozen, and then eaten them plain or maybe with a little butter. Then I learned how to roast fresh Brussels sprouts. I will never go back to frozen or steaming them again. Yes, the house still gets that smell, but oooooh, do they taste good. I swear, I ate a whole pound by myself, and I probably could have eaten another (though the potential for gastric distress kept me in line). The first time I made these, I’d followed a recipe online. They all seemed pretty much the same, but in my opinion, called for FAR too much salt and pepper. So, I tweaked and made it my own. 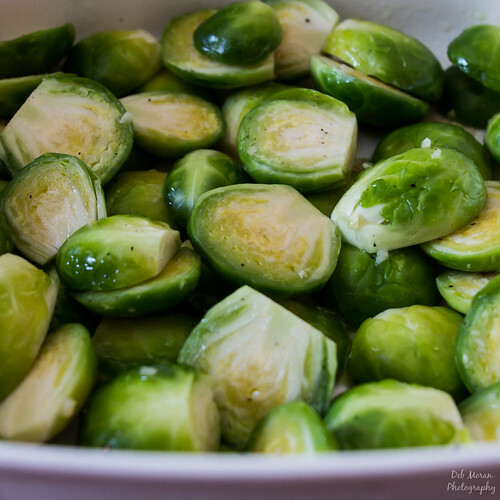 Rinse and drain Brussels Sprouts. Cut off bottom or each sprout (1/4” or less) and remove outer leaves. Cut each sprout in half, lengthwise. Toss in olive oil (to coat). Add minced garlic and lemon juice. Add salt and pepper to taste (I use fresh ground pepper and Kosher salt). Place on a single layer in a baking dish. Roast at 400° for 40 minutes, turning/giving a stir to the sprouts about halfway through. When done, they will be crispy on the outside and tender on the inside.